V1 Technologies offers professional and responsive Joomla website design services in UK that have helped several businesses to reach the next level. Joomla is an award-winning CMS that helps us to develop amazing websites and powerful applications. Open source platforms offer an easy and fast way of creating user-friendly websites. Whether you want to create a simple static website or a feature rich dynamic website, Joomla is the best choice. We have employed a team of Joomla experts that include web developers, usability experts, graphic artists and custom coders, who make sure to develop highly professional class websites that bring in qualified leads and engages the target audience. Your search for Joomla specialists finally ends here at V1 Technologies. 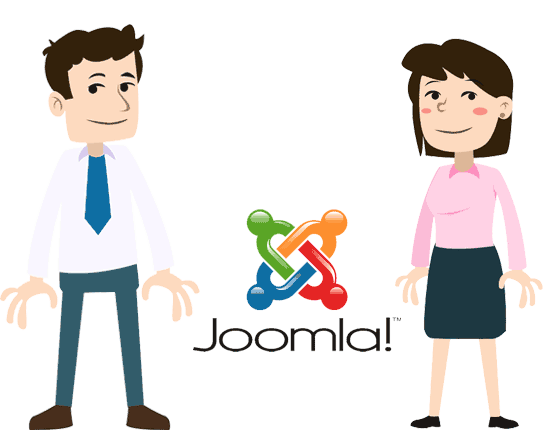 Joomla offers amazing functionalities that makes it the most popular choice among web developers. A wide variety of extensions are available that can improve the functionality of your website manifolds. Joomla is an open source product that is not bound by license fees or by restricted access to code. Supported by a huge international community of Joomla is constantly upgraded to offer features and functionalities. Stuck with Joomla - Why people love it? We have catered to the needs of several small to large businesses and have helped them serve their customers better. Security issues can hardly be a concern with websites developed with websites developed using Joomla, so more and more business owners are choosing Joomla over any other open source platform. Our team of experts can handle projects of all complexities and develop masterpieces that help you improve brand awareness and loyalty. We ensure peace of mind by developing powerful and secure Joomla websites. V1 Technologies offers an extensive range of Joomla website development solutions to help our clients build user-friendly and highly functional websites. Whether you need to build a simple website or a complex website with high end features, we can help you with everything. We cater to the web development needs of companies of all sizes, ranging from start-ups to large enterprises and assist them to create an impactful online presence and expand their reach. Our team analyses your business, your goals and the targeted audience to offer solutions that are specially tailored for you and your customers. At V1 Technologies, we combine creativity with technicality to deliver cost-effective solutions that gives our clients a competitive advantage. Joomla is an open source content management system that has helped people across the world create powerful and robust websites and online applications. Backed by a huge community of developers, Joomla is freely available for anyone. We encourage our clients to choose Joomla as the web development platform because it accelerates development process, supports multiple languages and offers excellent support for mobile device platforms like iOS and Android. When it comes to Joomla web development, V1 Technologies is the first choice. So why wait? Talk to us and get started today!